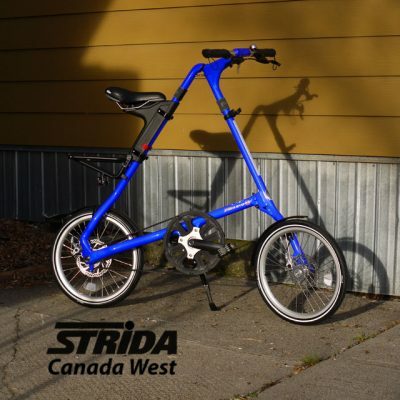 I love to customize Strida bikes. 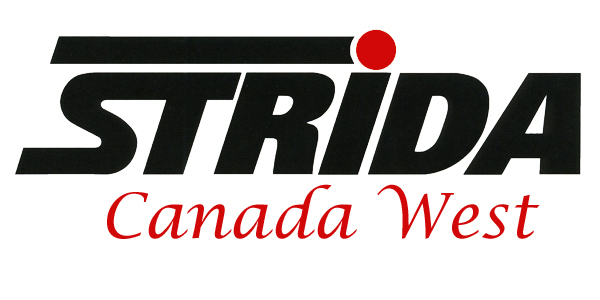 This idea came about because I had swapped the 16 inch wheels off a 16 inch White EVO. 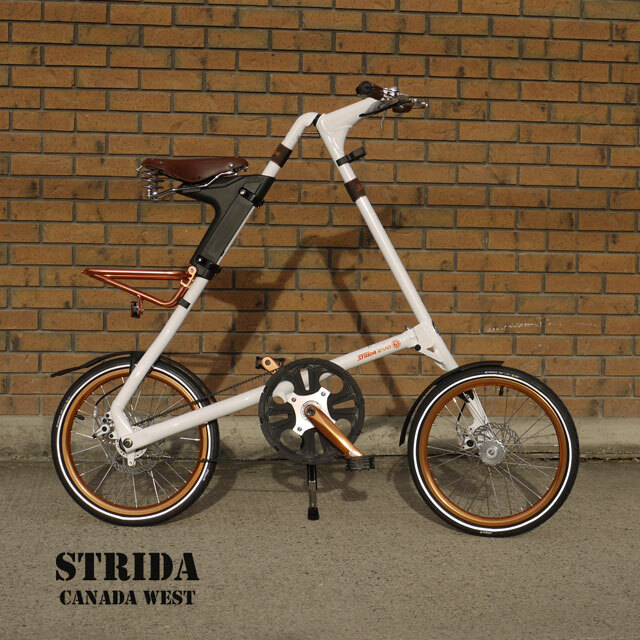 When the Strida White EVO was upside down and missing the wheels I wanted to see what the Strida copper wheels would look like with the white frame. I thought the copper wheels looked great so the Custom EVO White and Copper was born. After adding the copper wheel set I added the Strida copper crank arms, next the copper handlebars. 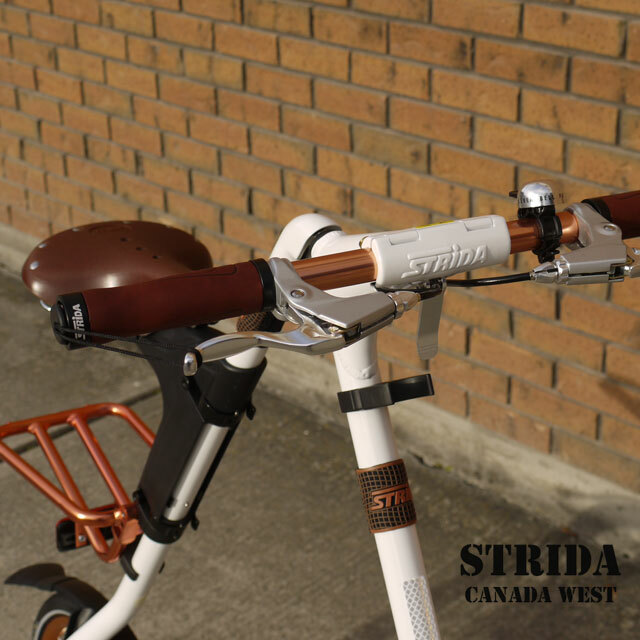 Then I was really feeling inspired so then came the Strida copper rear rack, Strida brown leather saddle and brown leather ergo handlebar grips. 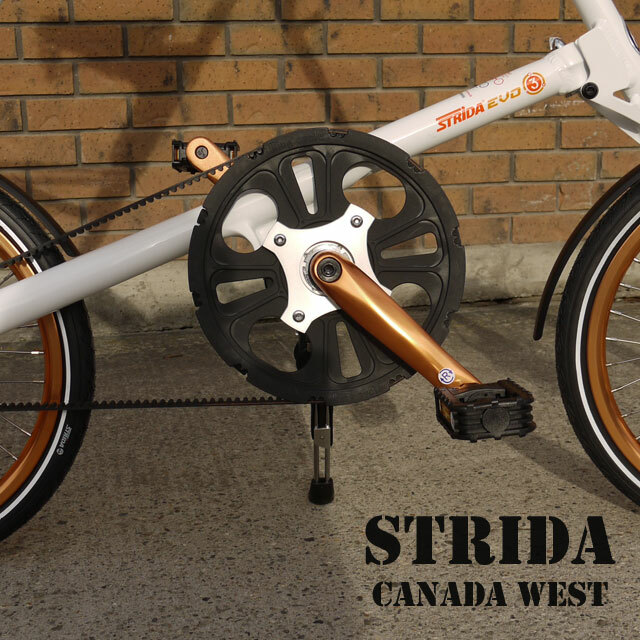 The final addition, Strida orange frame protectors and voila, the Custom EVO White and Copper. 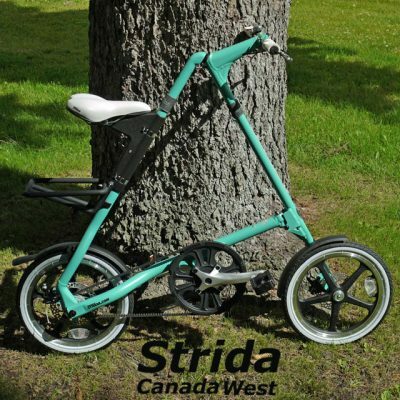 If a person desired, the Strida brown leather saddle bag would look great attached to the leather saddle. Another possibility would be the Strida Copper M-Style Handlebars. 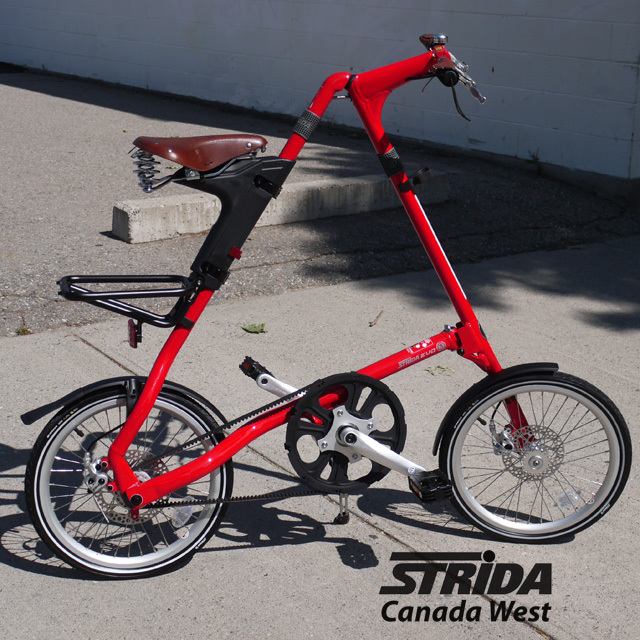 For more information on the Strida EVO please visit the Strida site. 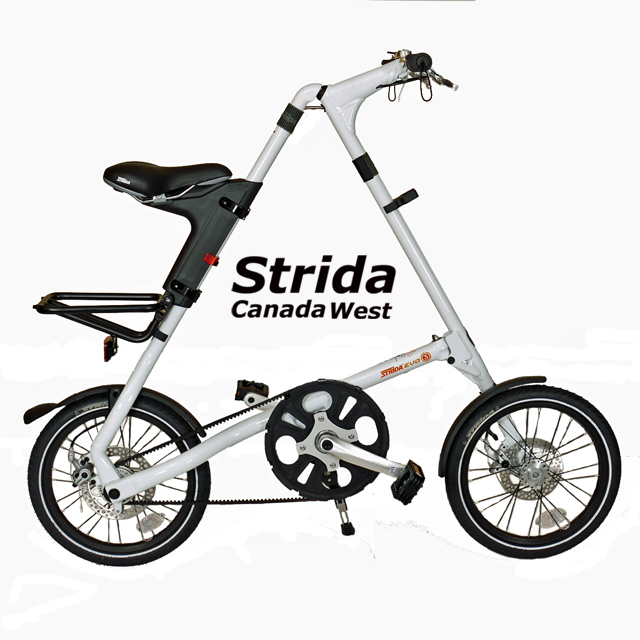 For an explanation on the different Strida models this page will help. 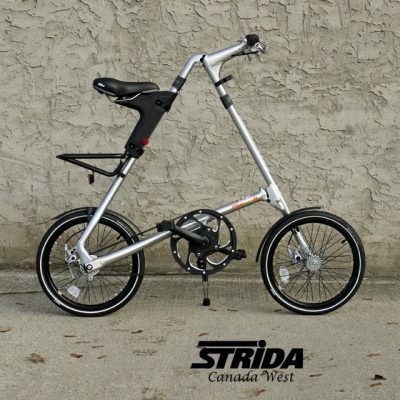 If you have an idea for a custom Strida then please contact me.